Discover, explore and play outdoors. Wildlings is a play group with a twist with Staffordshire Wildlife Trust! Come along and try new things outdoors. You could swing in a hammock, get mucky making a mud pie and sing songs. All sessions include juice and snacks for children. We play whatever the weather so please make sure your little ones and yourself are dressed suitably. 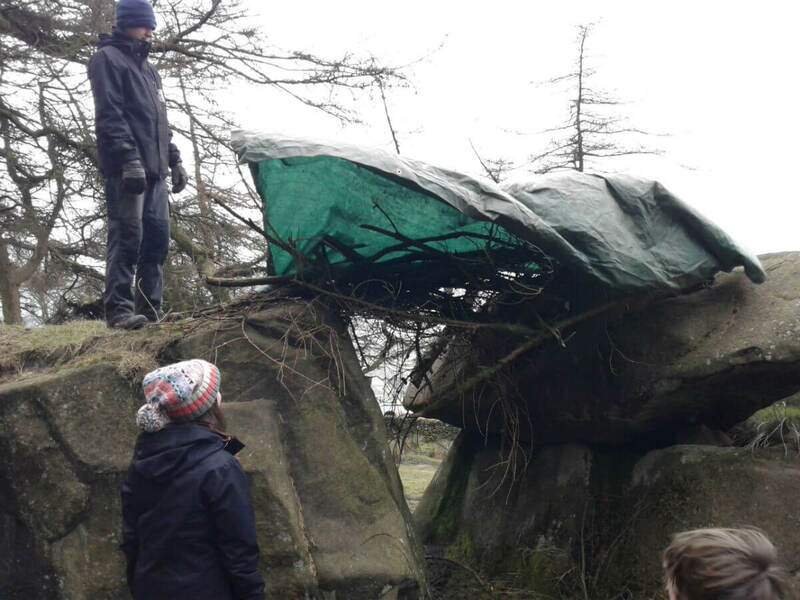 Wildlings at The Roaches runs every second and fourth Tuesday of the month and is free thanks to funding from Heritage Lottery and is part of the South West Peak Landscape Partnership, under the Wild Child project. Activities for 6 month - 5 year olds. Under 6 month olds are welcome to attend with an older sibling.